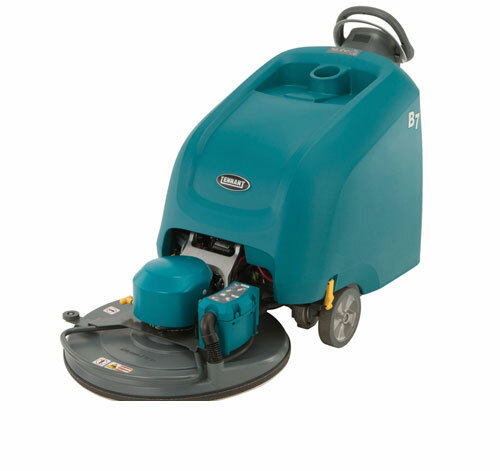 From the brand new line of Tennant Battery burnishing machines comes the Tennant B7 burnisher. 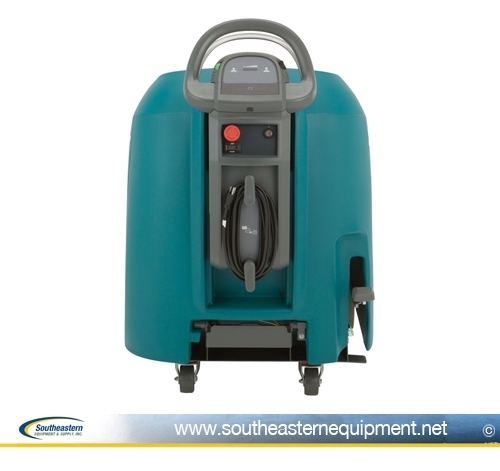 This 27” battery floor burnisher (buffer) brings the performance of a propane unit into the convenience of a battery operated unit that has a production rate of up to 27,000 SF Per Hour. 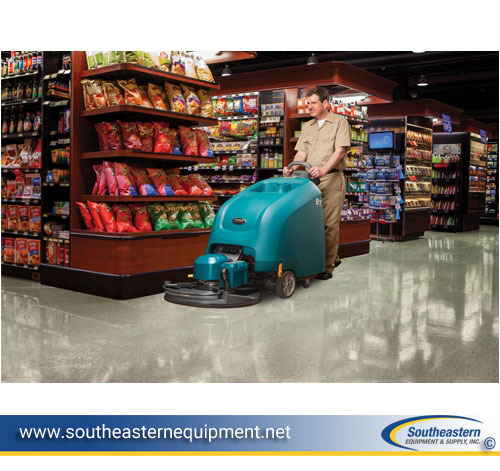 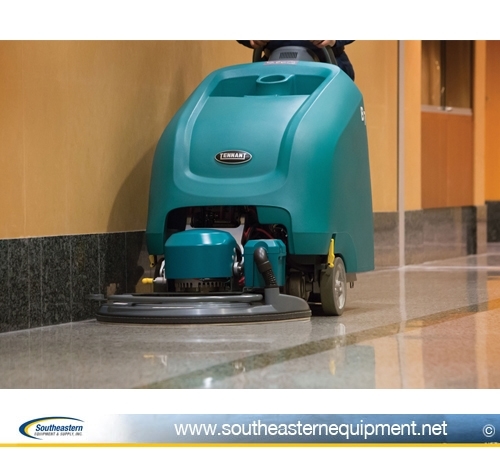 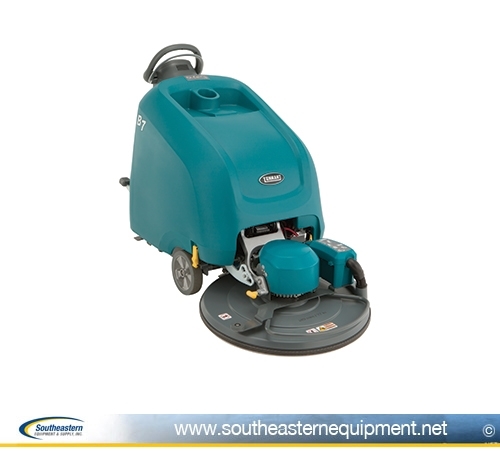 Variable pad pressure and a 36 Volt system packed into a small footprint makes this a great choice for cleaning professionals. This orbital scrubber is surprisingly easy to use and much better for the environment than traditional propane buffers.